You can get the Black-Eyed Susan recipe at the Preakness website, and a good back story at A History of Drinking, so I won’t bother with it here. At first glance, the current recipe—it seems to change frequently, presumably to accommodate the changing list of race liquor sponsors—looks light and fruity, just the thing you’d want if you’re drinking them for hours on a hot day with thousands of other people who are drinking, too. Unfortunately, it doesn’t stand close inspection. It’s a very dodgy-looking blend of whiskey and vodka, with lots of orange juice and sour mix. Basically, it’s good whiskey, ruined. I’m not going to drink even one of those, no. Who thought that would be a good idea? Fortunately, to make up for that curious derailment, there really is a drink called the Preakness Cocktail. You’ll hardly ever encounter it, but it’s worth knowing. Stir all ingredients with ice until very cold. Strain into a chilled cocktail stem. Express and garnish with lemon or orange twist, or (some say) with a cherry. The Rittenhouse is a 100-proof straight rye whiskey; its relatively high proof gives the drink a good whiskey backbone, but an 80- or 90-proof whiskey would likely do well in this drink, too. I like the earthy qualities of the M&R Rosso vermouth, but the Preakness also works well with the sweeter, more lush Carpano Antica, if you’re in a mood for that. 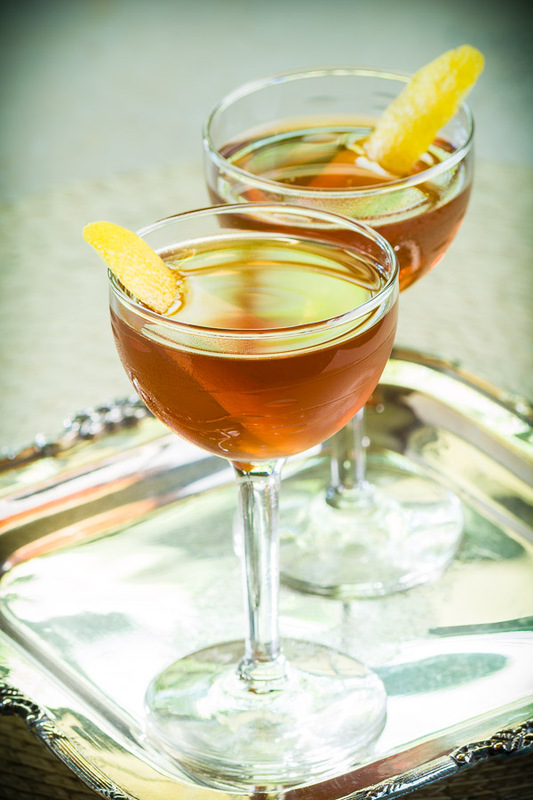 Bénédictine is the special ingredient that keeps this from being a straightforward Manhattan. It offers a little herbal background to the whiskey that isn’t part of the normal profile. In my opinion, it’s easy to overdo Bénédictine; a half-teaspoon splash seems just about right. I’ve seen suggestions that the original Preakness might have used Peychaud’s bitters, but most listings suggest Angostura. I’ve found that many of the aromatic bitters on the market work well in this drink. The Preakness is certainly an evening drink, as befits its history as the standard-bearer for the Preakness Ball. It is definitely not something you could drink all afternoon, standing in the sun (or rain) at trackside. But it is a handsome cocktail, one that should be revived, and a welcome variation for those of us who are long-time lovers of the Manhattan in all its forms. So here’s to the Triple Crown, to George Backert, and to his Preakness Cocktail. “Dark Horse: The Preakness Cocktail” at cold-glass.com : All text and photos © 2016 Douglas M. Ford. All rights reserved. You sent me to the recipe books for this one—I don’t think I’ve ever had a Royalist. It looks very interesting, perhaps an idea for a future story. (For others new to the Royalist, it’s a dry vermouth-heavy drink with components of bourbon and Benedictine, and a couple dashes of peach bitters. I’m looking forward to trying it. Thanks! Certainly trumps the Black Eyed Susan. That’s for sure. Hope you enjoyed it. I absolutely agree it’s easy to overdo Benedictine in a cocktail–though a B&B is the grand exception. Looking forward to trying the Preakness this evening!